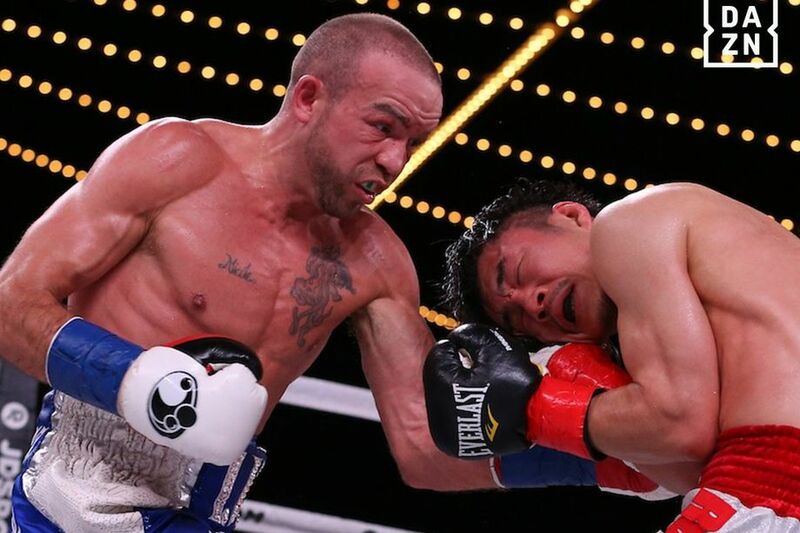 IBF super bantamweight champion TJ ‘The Power’ Doheny 21-0 (15) has called for a unification bout against WBA counterpart Daniel Roman 26-2-1 (10) after successfully defending his world championship against game Japanese boxer Ryohei Takahashi 16-4-1 (6) by TKO11 at New York’s Madison Square Garden on Friday night. The 32-year-old Australian-based Irishman called on his new promoter Eddie Hearn to make the fight with Roman, who was ringside for the bout. “That’s the fight I want next, that’s what we are all in it for. Danny Roman is a great fighter, he’s got the WBA. I’ve got the IBF. Let’s get it on. Eddie, you heard it. You got the order from the fighters, let’s make it happen,” said Doheny. Southpaw Doheny controlled much of the contest against Takahashi, 28, who was willing but largely unable to match it with the champion’s skillset. Both boxers were cut early in the contest with Takahashi opened up on the bridge of the nose and Doheny, a known bleeder, sliced between the eyes. Fortunately the claret didn’t have an impact on the fight. In the fourth round a right hook hurt Takahashi and Doheny pummelled him to the canvas. The middle rounds saw some smart counterpunching by the sharper champion and coming into the championship rounds it was all one-way traffic. Referee Mark Ortega stepped in at 2:18 of the penultimate round to prevent IBF number 10 Takahashi from sustaining any further punishment. “I was shaking off a bit of rust, coming off of a thumb injury. I was about a half a second too slow on my counter punching but the main thing is I came here to defend my title for the first time and that’s exactly what I did,” said Doheny.